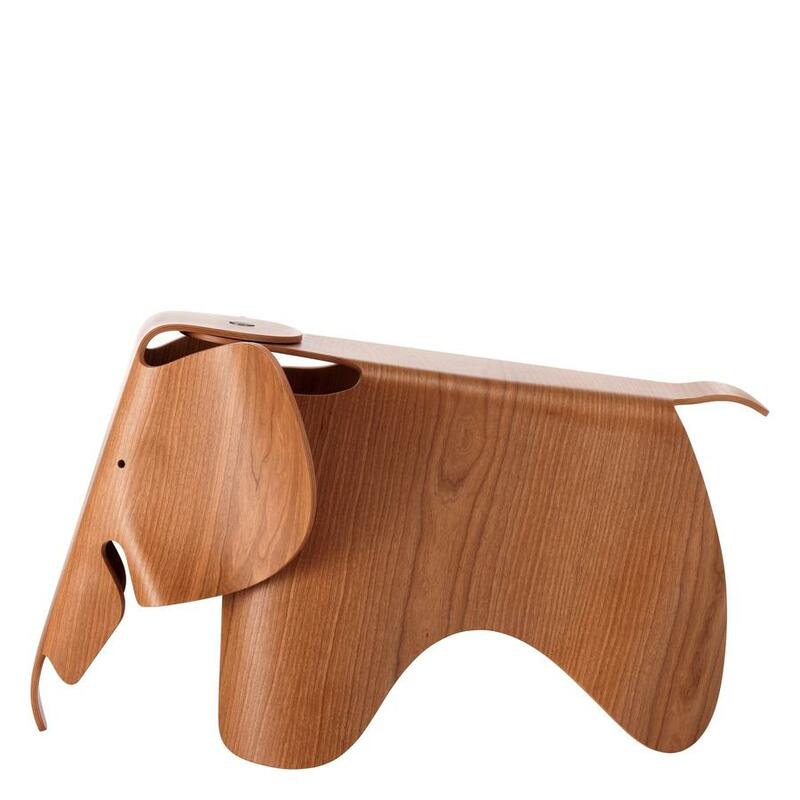 The Eames® Molded Plywood Elephant (limited edition Vitra 2018) is for sale from Stardust. Eames's Elephant in wood represents one of the earliest examples in which this majestic animal appears in Charles and Ray’s work. 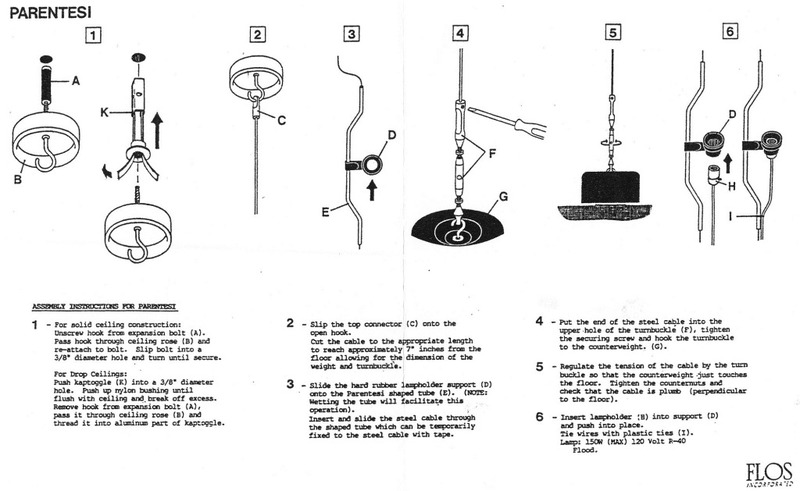 They designed it in the early 1940s as a playful offshoot of their molded plywood experiments. The elephant was part of a larger grouping of animals, including frogs, seals, horses, and bears, that the Eameses made as toys or furniture for children but that compliment any type of modern home decor. They made two prototypes of the elephant, but it required complex fabrication methods and was never commercially produced. In 2018, Vitra launched a limited edition of the Plywood Elephant in honor of Charles’s 100th birthday. 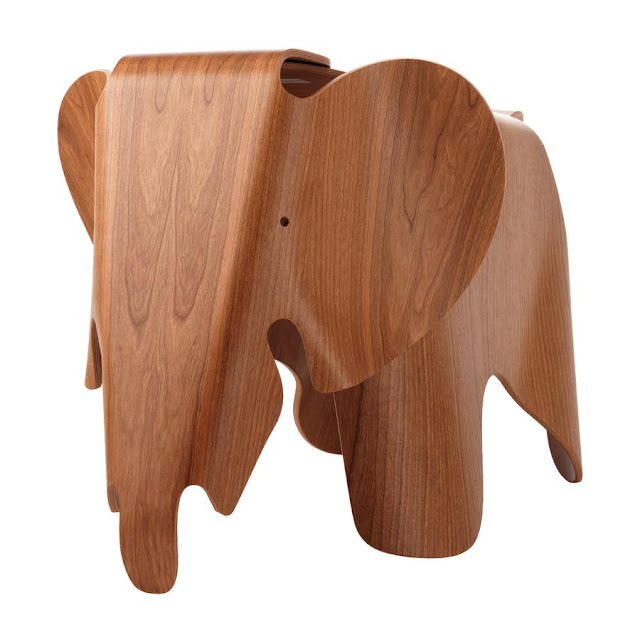 The new Plywood Eames Elephant is being offered through Stardust.com; a retailer of iconic mid-century modern design furnishings. The company worked closely with Eames Office to reproduce the 1945 design with precision and care, making these limited-edition elephants now available from Stardust. It took some 60 years for the original plywood Eames Plywood Elephant to be brought to market as a serially produced product. To enable this Vitra created a dyed-through polypropylene version of the 42 cm high, 78 cm long and 41 cm wide wooden elephant, a synthetic version available in the colours classic red, light pink, white, dark grey and lime. 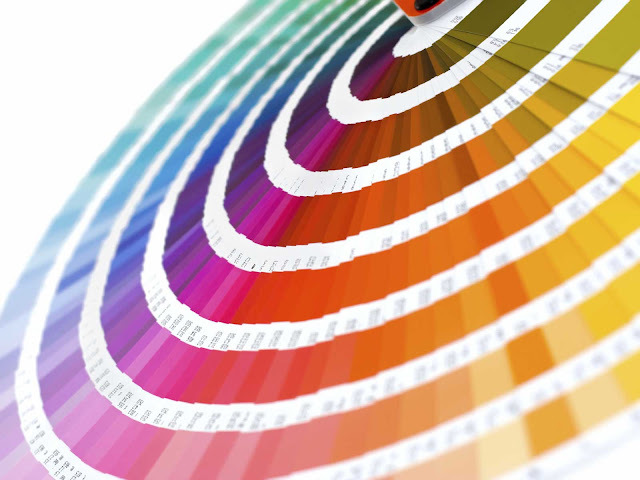 In addition to lower production costs, the advantage of the plastic that it is relatively robust and suitable for outdoor use. The licenses for the production of Eames designs in Europe are held by Vitra. Based in Birsfelden, Switzerland with a central production facility in Weil am Rhein, Germany, Vitra places in the manufacture of its products a focus on the achieving the highest quality standards not just in their products but also in the sustainable and ecologically responsible nature of the production. Designed in the 1940s the Eames Elephant is historically understood in context of the so-called "mid-century modern" movement. Originating in the United States in the decades after World War II, mid-century modern combined modern developments in design, architecture and urban planning, with Scandinavian influences to create a more relaxed, accessible aesthetic. Typical of the designs of Charles and Ray Eames from that time is experimentation with new materials. 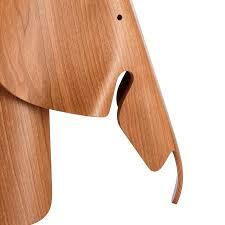 The elephants were originally made of plywood, then a truly revolutionary material. The original Eames Plywood Elephant is one of the first furniture objects which involved moulding plywood into organic forms, a process Charles and Ray Eames developed during World War II for the US Navy, where they developed leg-splints from bent plywood. 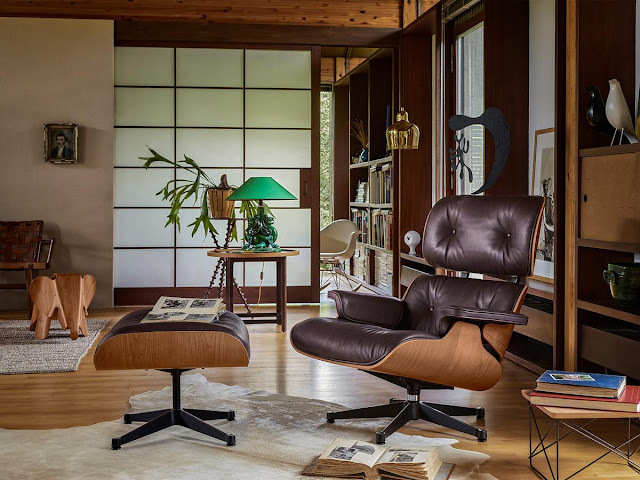 After the war, they transferred their expertise on furniture design and created in addition to the plywood elephant their famous Eames plywood chair family. It was the Swiss designer furniture manufacturer Vitra who transformed the original plywood Eames Elephant into its current polypropylene form: having created a limited edition version in plywood to celebrate what would have been Charles Eames' 100th birthday in 2007, Vitra subsequently released the synthetic version for the wider public. Thus, the Vitra Elephant version adds to the long tradition of fruitful co operations between Vitra and international designers and/or their offspring, to allow for the re-edition of long lost furniture design classics. Of special importance for the development of Vitra was the relationship between the company's founders Erika and Willi Fehlbaum and Charles & Ray Eames, a relationship which not only helped define the company's original direction but which continues to define the decision making processes. 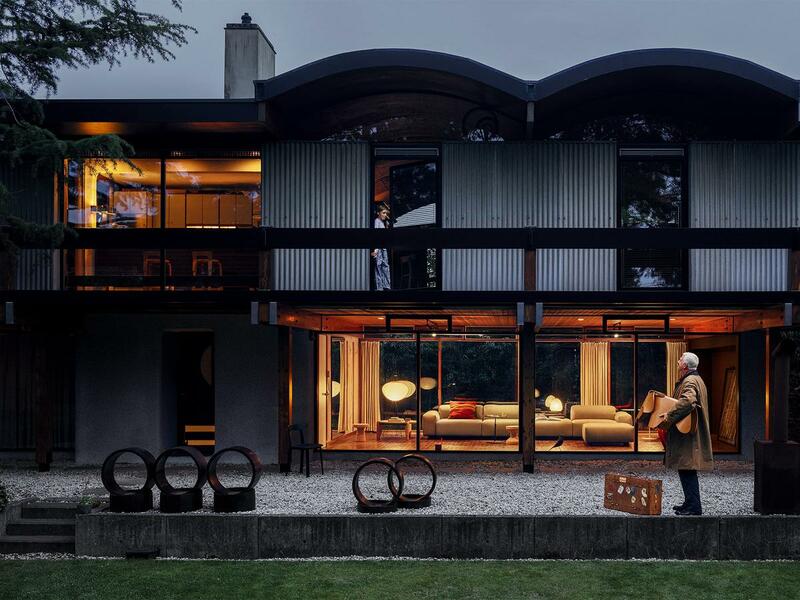 Vitra was founded as a shop fitting company store in the Swiss village of Birsfelden and only developed into a furniture production company after the Fehlbaums discovered an Eames chair during a trip to the USA in 1950. 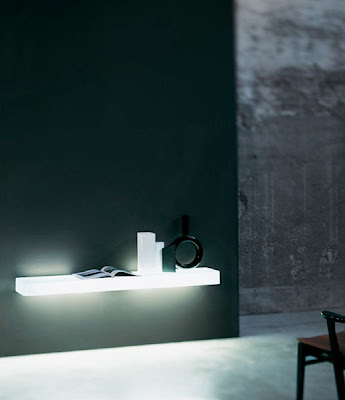 Since then Vitra has developed into one of the major international manufacturers of quality furniture design and home accessories. Originally presented in moulded plywood as part of a 1945 exhibition at the Museum of Modern Art in New York, it would be some 60 years before the Eames Elephant entered serial production: to mark Charles Eames' 100th birthday in 2007 Vitra released a limited edition of 2000 pieces in the original plywood version. This very high quality, and equally limited quantity, edition made these impressive pachyderms a popular collector's item: but missed Charles and Ray Eames' intended purpose - an everyday toy for children. Thus, Vitra has developed a contemporary version of the Eames Elephant made of polypropylene, which not only makes the striking design available in a range of bright colours, but at an affordable price. 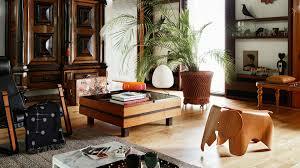 In addition, the Vitra Elephant is, thanks to the new durable material, also ideal for outdoor adventures and thus reflects the designers position that play and pleasure are basic human needs and a integral source of enjoyment of life. Care To clean, a soft, damp cloth and a mild neutral detergent are recommended.